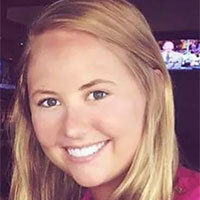 Alison Clary is a travel and feature writer who hails from Virginia Beach but is currently living in Ocean City, MD. When she is not writing about her food experiences or participating in fiction competitions, you’ll find her at home pampering her deaf senior rescue dog, Stanley. There I was, sitting on an enormous log by the water’s edge and gazing into the calming blue abyss of Lake Awanah. I missed the sunrise by a few hours, but I was still transfixed by the beauty of the distant line where the water met the sky. It reminded me of the exquisite watercolor paintings my mother used to create when I was younger. Sadly, many years had passed since she had retrieved her easel from the hall coat closet. Duke, our moderately overweight dog, let out one of his deep bone-chilling howls, shaking my concentration. I glanced back to find he had once again lost his stick. Duke maintained the appearance of a full bred Labrador Retriever, except his legs were about a third of the normal size. Every characteristic was proportionate and stunning, except for his dang legs. I swung my heel up as far as I possibly could and thrashed it down into a branch of a nearby non-thorny shrub. I loosened it just enough to be able to grab it by the end and yank backwards, breaking it away from the bush. I tossed the detached branch over to Duke who instantly clenched it between his jaws and trotted away with his tail wagging. I envied his low-standards for happiness. My mom had hoped Duke and I would form a special bond because of our similar physical deformities. I think she envisioned an Opal/Winn-Dixie, Travis/Old Yeller relationship which would somehow cure the insecurities of my condition overnight. The unfortunate truth was we had owned Duke for a year, and I knew nothing about him except that his world revolved around his stick. If our house was burning down in a sea of flames and Duke was forced to choose between rescuing his stick or us, he would grab the stick and gallop satisfyingly outside. I peered back to the water but quickly was distracted again. This time it was two girls with blonde hair dangling well past their bikini bottoms. They looked to be about a year or two older than me, maybe 15 or 16, and they were giggling as they sat on the dock’s edge with their toes dipped in the water. “Why don’t you go over and introduce yourself?” urged my mom. She had once again been nervously observing me without my knowledge. I shrugged and looked down at my feet. I feared meeting new people, specifically I dreaded their reactions as they initially comprehended my strikingly small stature. “Either you go over there and introduce yourself, or I’m going to call them over here, and you’ll have to meet them with your embarrassing mom,” she added. I trudged over, and I made sure to walk loudly on my heels as I crossed their old wooden dock. Thump. Thump. I wanted them to hear me coming. I never knew how people were going to respond when they saw me, but I recognized it helped if they had time to prepare their thoughts. “Hi there! Are you Mr. Pyheur’s grandson? We heard you’d be staying at his place for the summer?” asked the slightly taller one. “Err, yes, my name is, Charles,” I responded. “I’m Henrietta, this is my younger sister Finley,” she stated. We spoke for a few minutes about my grandpop and how they just recently heard about his passing. They were overwhelmingly kind which was refreshing but also slightly uncomfortable, so I shifted the conversation towards the massive blue and purple tie dye kayak positioned to their right. “That old thing? That was our mother’s. She moved to Connecticut without us last summer. We might throw it out, or maybe we’ll sell it,” stated Finley. “How much do you want for it?” I inquired. “Hmmm…Twenty dollars. But for you, ten. How ‘bout it?” Henrietta responded eagerly. I reached into the pocket of my Levi’s and struggled to extract my wallet. It was always a challenge because my pants were meant for a wide six-year-old, not an early teenager. Most six-year-old kids do not carry around a wallet, and I assume most have smaller hands than I do. After finagling for about 30 seconds, I managed to pull out my gray leather wallet and hand them the crisp $10 bill my mom had given me for allowance the week prior. “Hey, you should venture up to Wards End. It’s about a thirty-minute paddle that way,” said Finley as she pointed north. “Well…it can take some people a bit longer. See that stone waaaaaay in the distance that looks like a pendulum? That’s Wards End,” Henrietta nervously added. An awkward silence followed. I could sense she doubted someone with dwarfism could make it there by kayak. She was too polite to expose her thoughts aloud. “Thanks, see ya around.” My anxiety was mounting. My fingers clenched the exterior of the kayak, and I braced as I went to lift it. 3, 2, 1, lift. It did not budge. “Let us help you!” Finley exclaimed. Before I could politely decline, they had each already grabbed a side of the kayak. They made it look so easy, as if they were lifting an inflatable tube. “Here, why don’t you hold the paddle?” asked Finley after noticing my humiliation. They carefully dropped the kayak at my earlier viewing spot. I waited till they were out of sight, and I pushed the kayak out to about knee-deep water, which was about mid-calf level for a normal-sized person. “Charles! What on god’s green earth do you think you’re doing?” shouted my mom. She sprinted from the house, appearing as though she’d just witnessed a horrific natural disaster. She insisted I return the kayak, and I verbally obliged just to avoid her stemming panic attack. I was able to compromise slightly, and she reluctantly agreed I could wait to return it tomorrow. She assumed my negotiation tactics were my attempt to slightly minimize the embarrassment, but really I had other plans in mind. I recognized she had many errands to run in town, and she was planning to depart in half an hour. I managed to persuade her to allow me to stay home alone while she was gone. As soon as she was out of sight, I flung a bottled water, towel, and pocketknife into my knapsack. I was going to embark on a trip to Wards End. Today was the day that I would spontaneously prove myself to this god forsaken lake that had taunted me every summer for as long as I could remember! Surely, there would be plenty of time to make it to Wards End and back. I had a few hours until mom returned. What she didn’t know wouldn’t hurt her, right? I stood in a runner’s stance with my back curled and my hands placed firmly on the rear of the kayak. I pushed forward with all my strength but unfortunately, I was unable to reposition the kayak into the water or even move it slightly. I grabbed a nearby rope and attached one end to the center top loop of the kayak and the other to Duke’s collar. I snatched a nearby rogue stick, hopped in the kayak, and hurled the stick as far as I possibly could into the lake. Duke immediately chased after the stick as if his life depended on it, thrashing in the water, and all the while pulling me out to sea. When he reached his stick and began returning to the shore, I cautiously used my knife to slice the rope free from the kayak. Comically, Duke didn’t notice my presence throughout the entire ordeal as his eyes and attention were solely focused on his stick. I clutched the oar and initiated paddling. Right, left, right, left. This wasn’t so hard. I peeked back and observed I had not made substantial progress after all. I watched as my paddle entered the water and saw it was barely scratching the surface. I commenced paddling again, but this time I shifted my entire body weight back and forth to match the movements of my arms. The paddles sunk deeper, and I started moving forward. Boy was it more difficult. Turn back? No, I can make it! I kept up that tempo for what seemed like an hour but likely was only fifteen minutes. Each stroke was becoming increasingly more challenging than the last. I sang the happy birthday song and tried to keep my arms moving to the beat. After repeating it several times, I switched to Ring of Fire, my mom’s favorite. My long brown bangs were plastered to my forehead and were entrenched in a bank of sweat. It’s got to be close. I placed the steaming hot paddle across my lap and brushed back my soaking bangs. I stretched over the side, cupped some lake water, and splashed it across the back of my neck. It was momentarily refreshing, but quickly my exhaustion resurfaced. I stared backwards, then forward again, while analyzing I was exactly halfway between Wards End and home. I did not trust my seat-view evaluation, so I slowly stood up in the kayak. With my arms extended outward to balance, I squinted and began to decipher the pendulum-shaped stone only a little way forward. Foolishly, I tried to shuffle my feet 180 degrees, so I could proudly observe what my persistent paddling had accomplished. After about 100 degrees, I lost my balance and toppled overboard ungracefully. Instantly, my arms thrashed, and I swallowed shot after shot of water, just as I had when I accidentally tumbled into the deep end of my neighborhood pool at age four. I had blocked most of the memories from that dreadful day, but the look on my mom’s face is something I will never shake. She almost lost me, her only child. As I continued to flail about, I visualized my mom’s face. You could tell at one point in her life she was strikingly stunning, but her once beautiful features had since been overrun by worry wrinkles. I thought of the immeasurable pain she would experience if I was not present when she returned from her errands and how she would deteriorate after coming to the realization that something awful happened to me. I imagined she would express the same heartbroken face she did that day at the neighborhood pool, only this time the expression would be permanent. In that moment, I was able to calm down enough to start floating on my back. I stared up at the fiercely bright sun until I was able to catch my breath. I remained floating almost motionless but rotated my eyes enough to see the blue and purple outline of my kayak. It was about five feet away. I swiveled my one ankle in small circles, which allowed me to turn my head towards the boat. I took one stroke backwards, then another and another. Soon, I felt the thud of my hand slamming into the kayak. I clutched the side of the kayak’s seat, as my body remained backwards in the water. Once I had a firm grip, I slowly twisted over to my stomach. I glanced up and noticed the tail end of the rope still knotted from where I had earlier fastened it to Duke’s collar. I kicked, pressed upwards with my right arm, and extended my left arm as far as I could to grab the rope. I narrowly missed it by just a few centimeters. I paused for a few seconds and tried again. This time, I kicked aggressively and caught the tail end of the rope. Victory. I immediately clenched down and gripped with my right hand as well. I pulled myself into the seat of the kayak with a an avoidable loud grunt. Had I been any larger, I likely would have capsized the boat. For once in my life, being a little person had come in handy. I caught a small wave that beached the kayak perfectly on the shoreline. I was relieved as I would not have been able to drag the kayak to shore myself. The second my feet hit the sharp, darkened sand I collapsed to a sitting position and faced the lake. I glanced down at my hands, which were covered in blood blisters from the paddle’s harsh grip. Although they were tender, I couldn’t help but feel proud of the pain. After standing and observing my surroundings, I concluded that Wards End was quite unimpressive with just a few small pontoon boats, an old beat up convenience store, and an abundance of driftwood. I again looked at my blistered hands and heartbreakingly rationalized I would not be able to accomplish the journey back to my grandpop’s house. I wondered if maybe there was a phone available in the convenience store. I could call mom and ask her to come get me. Surely, she would be mad, but like everything else, she would get over it eventually. Just as I was mustering the strength to stand up, I heard a voice calling me. “Hey little man, you okay over there?” said a raggedy older gentleman making his way towards me. I hated when people called me ‘little man’. “Yeah, I’m okay” I shouted back to him. He was wearing khaki cargo pants that were curled up mid-calf and a holey denim shirt with one too many buttons unfastened. From the looks of his skin, he had never once put on sunscreen, despite having spent a lifetime in the sun. He was missing teeth, but you could hardly tell behind the bushiness of his black and gray striped beard, which reminded me of a raccoon’s tail. My desperation trumped my shy nature, so I disclosed to him most of my journey, purposefully excluding the part about my clumsy fall into the lake. He insisted I let him drive me back in his questionable pontoon boat. Despite my better judgement from watching countless Dateline murder mysteries, I accepted his offer. “Want me to hook your kayak to the back, little man?” he asked in his abnormally loud voice. “No, leave it here for someone else,” I responded. The engine rattled loudly as he started it up, shaking the whole boat. I glanced back towards the bright blue and purple kayak as it was continually pounded by small waves breaking on the shore. In what felt like merely two minutes, I could see the full outline of our house and it was becoming more vivid by the second. As we got closer, I witnessed Duke basking by the shoreline with the same stick in his mouth. I was pleased to see his tail wagging at the sight of me. I looked upwards and noticed the driveway was empty, which indicated my mom had not yet returned.